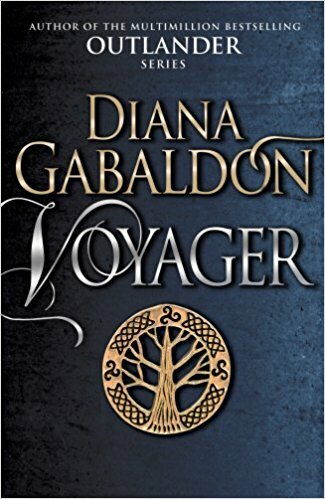 I should probably start off with Voyager, and I will try to look pass the things that I did not enjoy. 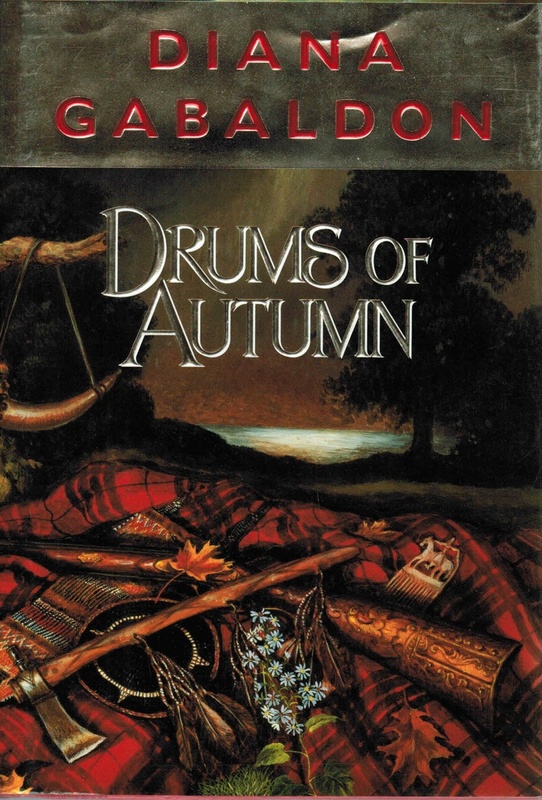 I read it fast and not just because it was the first book of the Outlander series which was completely new to me since Outlander and Dragonfly in Amber I already knew what would happen because of the TV Show, no, this one I read really fast because of the parts where Claire was on her own, those blurred. Spoilers ahead if you have not read these 2 books, kindly stop if you have not read. So, let’s start with Jamie’s life after Culloden, that was interesting and even though Diana had us going back and forward between Jamie and Claire, Bree and Roger, it was a good thing to know. Claire arrived at Edinburgh and we met wee Ian (*smiling*), and then there was a grown-up Fergus, which is a character you cannot help but be excited about even as much as meeting Jamie, after so many years. We went to Lallybroch once more and Jenny gave us the cold shoulder, not to mention she has a dizzilion children and grandchildren, so much so, that it is quite difficult to keep up with the names, and who is who. Only wee Jamie is a factor that we know completely. But then we found out about Laghaoire and by God that was a low blow from Diana, come on! We hate her, it is the truth, we do. I nearly forgot about John in this book, but he was there and we got to kind of know him, we (or at least me) had certain strange feelings towards him, more like he was just there in Jamie’s past, and he took him into the arms of Genniva but hey! That’s all in the past. Moving on, we left Broch Tuarach and went off with wee Ian, who we are starting to like, only to have him taken away, and I almost cried at this point, wondering, thinking, worrying about him. Awful. And then came the part where I spaced-off, now that I think about it; not only was it the time that Claire was alone on the ship, but there were some moments, in the first part of the voyage to the West Indies, that were way too long, either Diana really loves boat rides or there was some serious need for filling in the book, and it felt that way as well when in book 4 a certain someone was traveling alone in a ship, it felt so freaking long. But at last we arrived to Jamaica, we saw John and Jamie engaged in a rather comprising situation, and some things before that. Then we traveled to River Run, met Jocasta Cameron, née McKenzie. 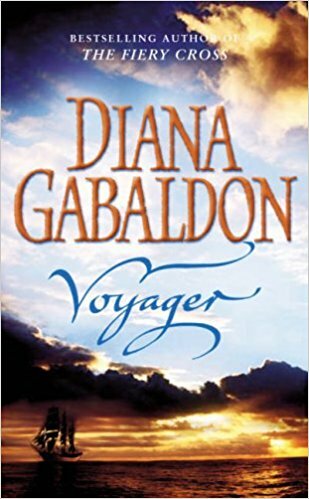 And it was a pretty good book, if you ignore the parts where Claire was on her own in a ship full of sick people, where there was no need to spent so many lines on. Now, DOA, it was good. Please if you have not read it, and don’t want to know about it, then you can kindly stop reading at this point. DOA, when I was at 80% I could not stop reading for the life of me, it was before that, except the part when Roger was alone aboard the Gloriana with Stephen Bonnet no less, I know there were important characters in there, Bonnet specially but come on, it was unnecessary the amount of time we spent reading about how Roger got “used to” and how he describes the life there, seriously, I actually stopped reading for a day or two when he was there. I will now proceed with my favourite scenes, because they were so specific and interesting, I could actually see it all and I loved that. Spoiler Alert. Brianna and Roger at the festival, him singing, the tradition of calling out the clans (“The Gathering”), stating who was there, very cool. Brianna going to Lallybroch, and meeting everyone, her and Jenny talking about Ellen. The time she was there was really magical and I thought it was a great moment. Ian, this is more of: I fell for the character kind of thing, we didn’t see him as much as in book 3 but still he was there in Fraser Ridge, he was the son they never had and a tear fell when he was taken away, because I knew it was coming from a mile away, all because of Roger, I really hated Roger at that moment. I do hope to see Ian again in book 5. Oh, and when he proposed to Bree? Awesome, so cute. Claire seeing a ghost was actually pretty cool. Willie’s moment was not that memorable for me, but I suppose he will come back in the future. Bonnet and Bree, most graphic non-graphic scene I have ever read, once again, I could see it all so clearly, it was almost disturbing. When Roger was nearly at the cabin and Ian and Jamie intercepted him? Whoa. When Lizzie told Jamie that Bree was with child, whoa! I seriously thought that Roger was a goner but then said: Nah! She won’t do it. Though I did have serious doubts. John and Bree, by the time that she went to see Bonnet and then discovered John on the floor I almost fainted myself, it was then that I realized that I liked that particular character, because if he died I would have been very upset. 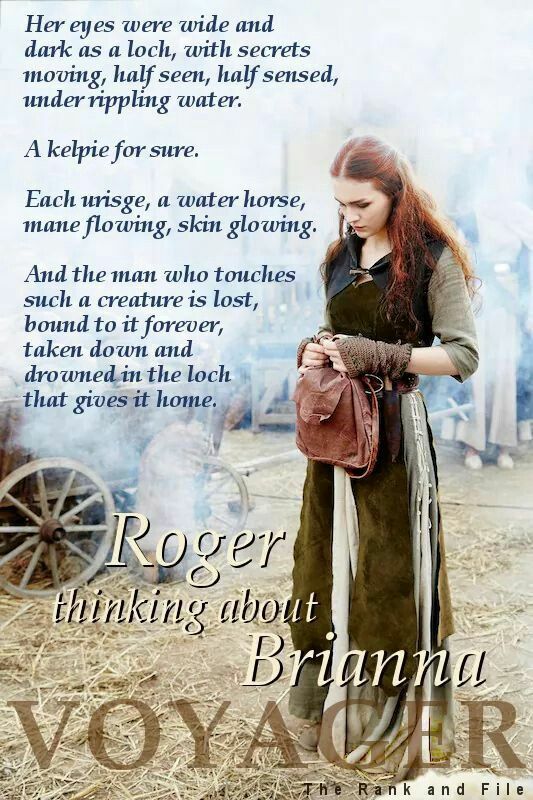 He grew so much in me, that I actually wanted him to be with Bree instead of Roger but knew it wouldn’t happen. Loved their talk about his preferences. As I mentioned the last 80% I could not stop, so there are so many awesome moments there that I loved. This one came out a lot longer than I anticipated but if you made it to the end, thanks! I am done rambling now. I do hope you comment or share this with others. And if you have read the first 4 books then you have great determination and taste, just kidding, any kind of book you like is good, as long as you enjoy it. Note from Voyager, (Spoiler) I nearly forgot about Ian and Geilis, and about Geilis. Incredible detail, and the way she died, even greater. I’m really done now, thanks for sticking around and I will see you on the next pages of a book.